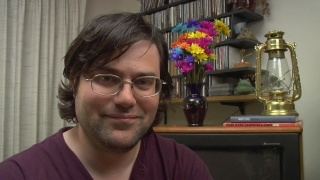 Image of Alexandre Owen Muñiz from GET LAMP, the text adventure documentary. 2007.
current 23:22, 29 August 2007 1,280 × 720 (231 KB) Jason Scott (Talk | contribs) Image of Alexandre Owen Muniz from GET LAMP, the text adventure documentary. 2007. This page was last modified on 2 September 2007, at 05:44.